Uncategorized Mount Snow Family Camp is My Kind of Camp! When I accepted the invitation to attend Mount Snow Family Camp, I didn’t know what to expect. 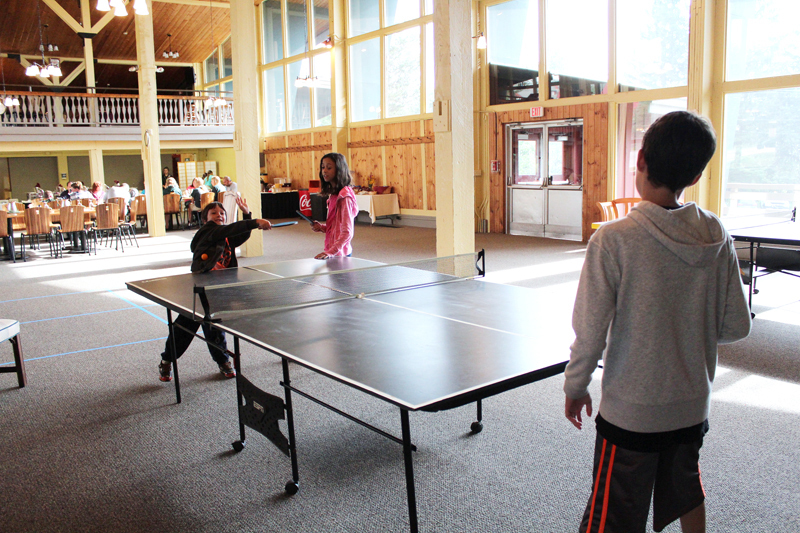 Typically a camp would suggest that we would stay in a tent, a trailer or a cabin, but not at Mount Snow! 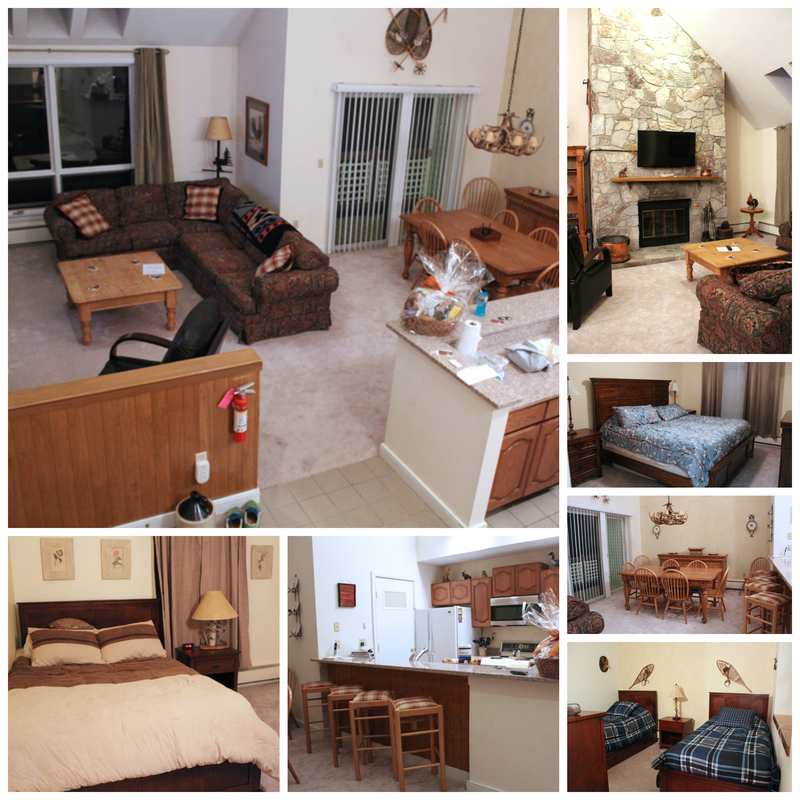 We were treated to nothing but the best at Mount Snow Family Camp, starting with the three bedroom/three bathroom condo that we stayed in. Complete with a fireplace, washer and dryer, full kitchen and extremely comfortable memory foam beds, our condo was a retreat all of it’s own. It was also just a short walk away from the Sundance Base Lodge where our meals and many activities took place. For the kids, Sundance was the essence of Family Camp. Their energetic and patient counselors could be found there and they always had great ideas and time for the kids. For the parents this was a great opportunity to grab some time alone while the kids were safe and happy. The Sundance Base Lodge was also the place where our buffet breakfasts and family style dinners were served each day (lunch was provided wherever we happened to be at lunch time). These were not your typical camp meals. Our breakfasts included both hot and cold options, along with pastries and fruit. Lunch was a boxed sandwich lunch every day, that we chose from a list each evening, and dinner included delicious food like salmon, chicken and salads. All dinners had more than one main course option and always included something that would appeal to the kids. The thing that really set Family Camp apart from regular camp was the staff. The counselors were so accommodating to all of their guests. They had flexible activity schedules and extra counselors on hand if a child or two wanted to do a separate activity from everyone else. They were patient and fun with the kids, and sociable with the parents. Their commitment to the success of family camp was evident by their eagerness to hear suggestions and tweak activities. While I felt the program was excellent and I would do it all again exactly as it was, it was great to know that they were open to making changes in order to offer everyone their best experience. The counselors and staff also led some fantastic activities. Our days were packed with regular camp activities like hiking, biking, horseshoes, disc golf and tennis, but also with some more extreme activities like tubing and kayaking. We had a choice of two pools at Mount Snow, and we also went swimming at the lake. 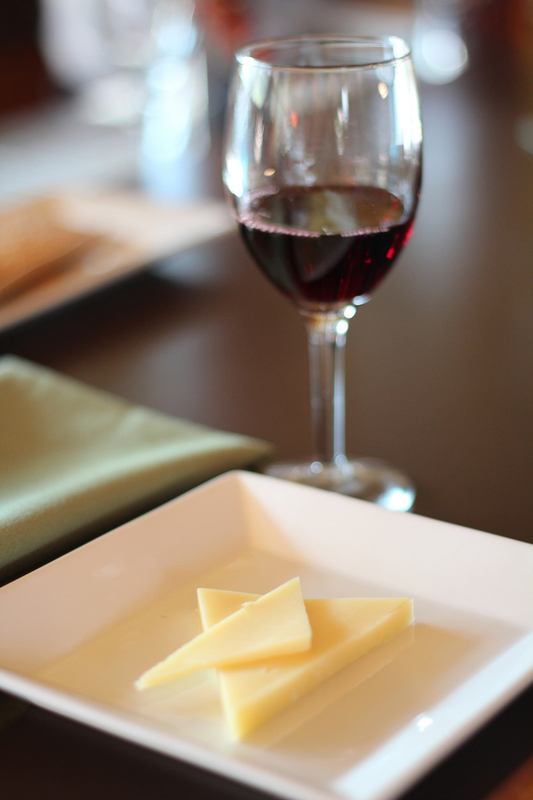 If you wanted a little pampering, the spa was available at a discount for family campers and the adults were treated to a wine and cheese tasting one evening. Another example of great staff and fun activities is shown below. 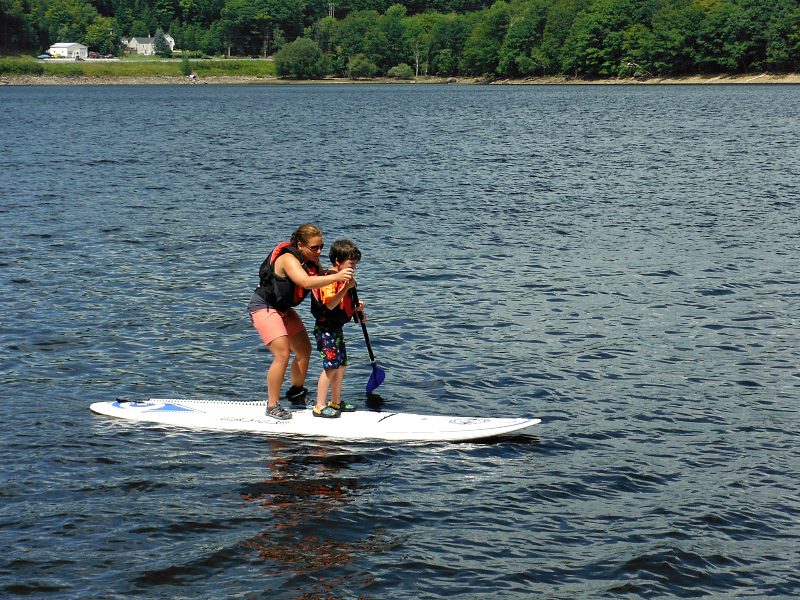 Erika, a Mount Snow staff member, took the kids out on a paddleboard and taught them how to do it themselves. We were fortunate to have Erika driving our boat during tubing too, and she was so patient and encouraging with the kids. It is wonderful to see them trying new things and gaining confidence from it. 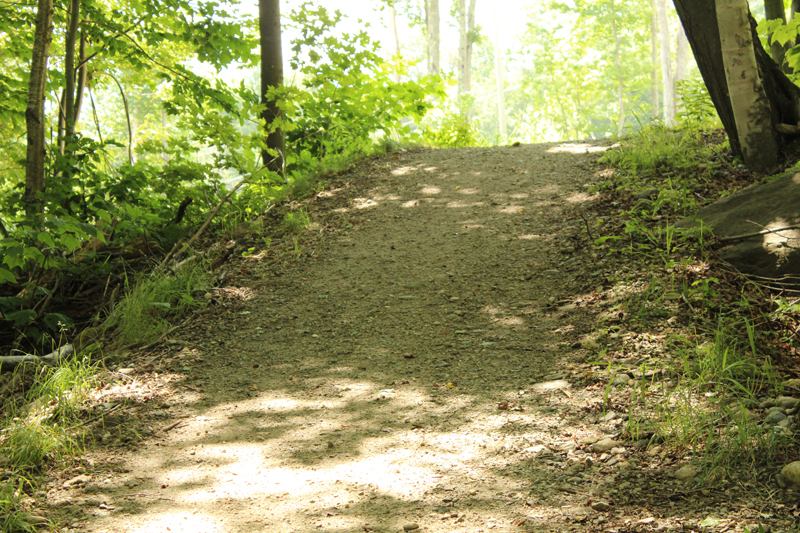 Beautiful hiking and biking trails are everywhere around Mount Snow. We went for group hikes and individual hikes too. The kids also enjoyed hikes with the counselors where they discovered a frog pond and many other of nature’s treasures. I enjoyed hikes with my husband and my daughter. These were ideal times to talk while getting some exercise and enjoying nature. It just wouldn’t be camp without a campfire, and every night a fire was prepared and s’mores were made. It was the perfect opportunity to get to know other families and of course the kids loved making s’mores. The kids could also go back inside of Sundance and watch a movie each evening. A popcorn machine added the perfect touch. Mount Snow Family Camp is my kind of camp and it’s a perfect family getaway. We hope to return next year! The camp runs for ten weeks in the summer months and registration is open now. Wow! Looks like a wonderful family vacation! That’s my kind of camping too! I’ve been waiting for your post to hear all about it. Just awesome. There will be more posts going live on http://www.takingthekids.com, so check in there too! Sounds fantastic! You think about sending your kids to camp, but the whole family going to camp is a whole new experience! Looks like a fabulous getaway for the entire family! Looks like your family had a lot of fun! I want to go there, looks like so much fun, and actually have a relaxing time because I wouldnt still be doing all the work away from home. Not having to cook or clean for a week was AMAZING! Wow, this is like no camp I’ve ever been too lol What a wonderful place! Thanks for sharing! Looks like a great place to take the kiddos camping! Lots of fun age approrpriate activities! Sounds like fun. I would like to take our kids to a place like that. Mount Snow sounds like a camp any family would love to go to for at least a week. I agree that staff really make or break any venture and you really found some really wonderful staff who were ready to go ‘that extra mile.’ I can tell from the smiles on your children’s faces that they were really having a good time. I am so happy that you all enjoyed your vacation and that the staff were so accommodating.